Sharnee Rawson is a journalist and editor specialising in food and Australian lifestyle coverage. As food editor of TEDx Sydney, she will emphasis the importance of food culture to Humankind in our past, present and future. Sharnee has worked as a journalist and food critic for Good Food, The Australian, Time Out, GQ, delicious. and Australian Traveller magazines. Currently, she is founding editor of The Upsider, an innovative executive lifestyle title produced by Junkee Media and oOh!Media. 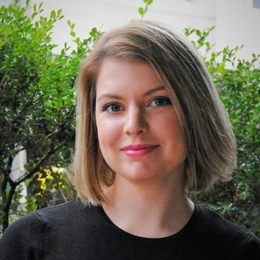 Prior to journalism, Sharnee studied law and politics, competed on MasterChef Australian (Season 2) and ran a small boutique catering business.